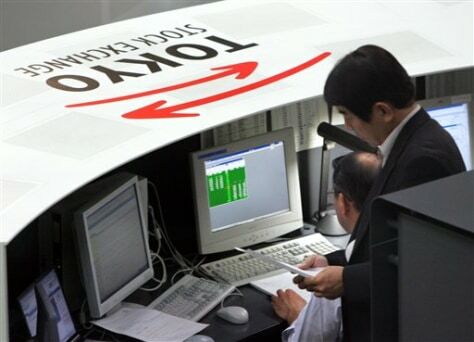 Traders on the Tokyo Stock Exchange work at a terminal. Mizuho Securities, an unlisted brokerage unit of Mizuho Financial Group, mistakenly placed an order to sell 41 times the number of outstanding shares of the recruiting company J-Com. The widespread confusion battered the market.